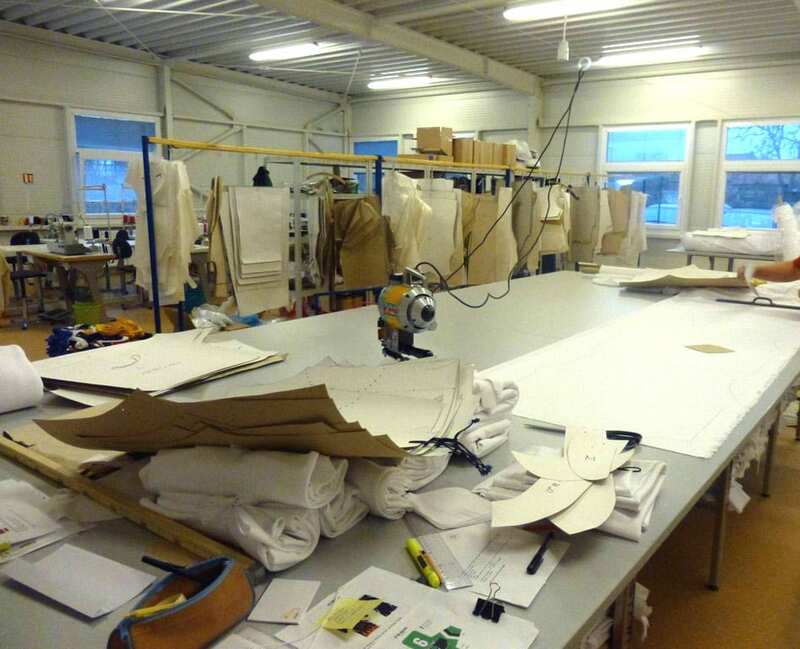 Process of the dress and sportswear order at Bison Sportswear. Zadání základních požadavků – druh a počet výrobků, střih, dlouhý – krátký rukáv, typ límečku. Design dresu si můžete vybrat nebo sami navrhnout v konfigurátoru. Návrh nebo jeho představu nám můžete také poslat, naši grafici ho dle potřeby upraví a dokončí. Příprava grafického designu našimi profesionálními grafiky je zcela zdarma! Po odsouhlasení konečné varianty designu následuje vyplnění finální objednávky s uvedením počtu kusů a požadovaných velikostí, požadovaného materiálu. Zakázka je zařazena do výroby s předběžným termínem zhotovení. Vaše zakázka je zařazena do výroby. Po dokončení projde výstupní kontrolou a bude připravena k expedici dohodnutým způsobem. You can contact us at any stage of the process, we will be happy to advise you. Your first step is to select the sport and how to create the final look of the jerseys: either choosing from prepared designs or creating your own design. After choosing all the required parameters for your jerseys, you simply enter this information into the form and send it for processing. We will then provide you with a non-binding financial order calculation. In addition to the calculation itself, we also offer a free graphic design (see next section). What do you have to enter in the form in order to create a non-binding calculation? cut: including whether long or short sleeves. For every sport, you can choose from our basic jersey designs or create your own original design. In both cases, you can use the services of our professionals free of charge to perfect the resulting design of the jerseys. If you select the SELECT DESIGN , option in our configurator, you will have a choice of our default jersey designs.. From them you can simply choose the design best suited to your idea (we are able to further customize it). After choosing the jersey design you will receive a simple form where you will fill in the contact details and attach the logos required for the jerseys. Please include a description of the various elements and logos for the jerseys. A confirmation email and the number for further communication will be sent to the email in the request. If you want to design your own jersey, choose the PROPOSAL DESIGN. You will open up our configurator, in which you can use the intuitive control to select the product you want (including cut, shape of collars, color combinations, and number fonts) using intuitive, easy-to-use controls. Here is a simple form to enter your contact details and attach the logos required for the jerseys (please specify their placement in the note). The confirmation and the number you use for further communication will be sent to the email listed on the form. The third option is to send us your own hand-drawn design or sportswear (this can also be a scanned handmade sketch), which our graphic designers will professionally process and prepare in cooperation with you for production. If you only have logos in jpeg or bmp formats, please send them in at least at 300 dpi. We will send you a completed price calculation (including graphic design of jerseys) for approval. If you are happy with both, send the form for the final order and we will place the order into production. The final order form is the excel table you download on our site, which you complete and send us via email. Enter your contact details, required numbers and the players’ names into the table. Please pay attention to the correct size of the jerseys..
After receiving the final order, we will inform you about the placing of the order into production and the preliminary deadline for the completion of production..
We take care of all worries in the production stage. However, we are always available and we will be glad to inform you about the progress of the entire production process. The production of the jerseys starts by cutting the respective material according to selected cuts and sizes. In the meantime, we transfer the jersey designs to sublimation papers on Mimaki digital machines. At this stage, it is very important to use high-quality sublimation papers and inks, which guarantees precise printing with the ability to use a wide range of colors and accurately transfer even the most sophisticated designs and photos. The basis for the subsequent transfer of the designs from sublimation papers to prepared cuts is a thermal-chemical process, in which a special paint press irons to the depth of the material itself. 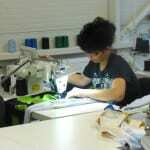 We then sew individual parts of the cuts in the sewing workshop. Once all the produced jerseys and teamwear have passed through inspection, there is nothing to prevent us from delivering your finished order. And if you are unsureat any stage of the order, check out our Frequently Asked Questions or contact us directly.